Shimla: Amid Himachal Pradesh Government’s miserable state of public grievance redressal services, the State Government informed here today that in order to bring more efficiency in administration and ensuring good governance, the Government will be organizing ‘ Jan Manch ‘ programmes across the state. This programme will be launched from Peterhoff in Shimla at 11 am on May 26, 2018, in the State Level Function. 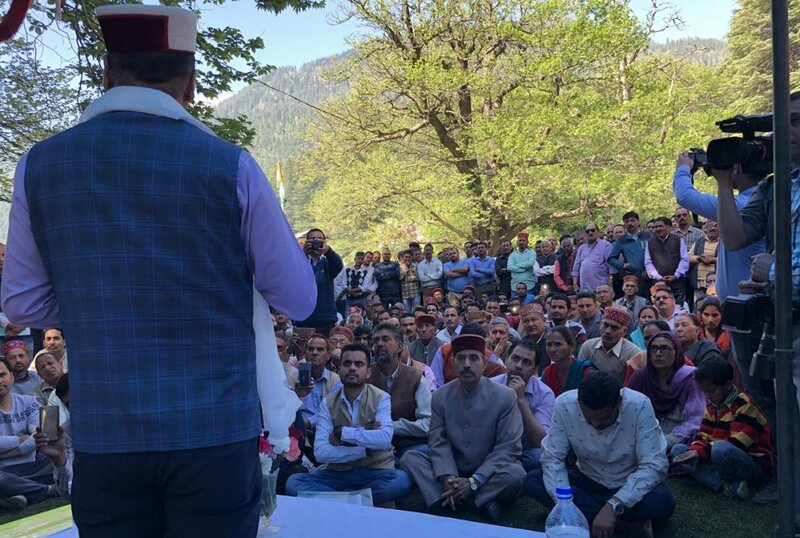 Jan Manch programmes will be organised in remote areas of every district where Ministers will be present along with officers of all departments. They will hear the problems of people and try to resolve issues on the spot, informed the Spokesman. He said that the main objective of this programme is to bridge the gap between people and government and to redress the grievances of the people at their doorsteps. He said it will reduce the labour and efforts of people of remote areas who travel long distances to reach district and state headquarters for getting various services.